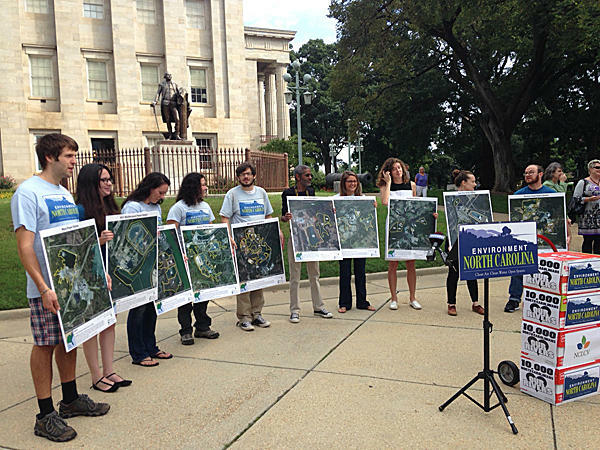 Environment North Carolina delivered 40,000 petition signatures to Gov. McCrory's office. Environmental protesters outside the State Capitol. Rogers cites at least ten other coal ash pits that need to be cleaned up. The legislation also creates a committee that will decide – among other things - who will pay for the cleanup, estimated to be as much as $10 billion. Earlier this month, McCrory allowed the bill to become law without his signature.